St Joseph Catholic Church: Welcome to Our Parish! We are a traditional and diverse catholic community where the faithful gather together to worship God and welcome everyone by sharing faith through prayer, education, and service to foster joyful people. Please pray for and congratulate oru First Communion Class. Through the tradition of social justice, access to affordable health care is viewed as not only essential to human life, but also as a fundamental human right. Within this perspective resides a respect for human dignity and the protection of human life from which springs the mission to meet the health care needs of the poor and uninsured. The Family Community Clinic at St. Joseph's is a tangible interfaith effort to work toward fulfillment of this vision. This is a daunting task and we welcome your talent of service and your generosity of treasure. 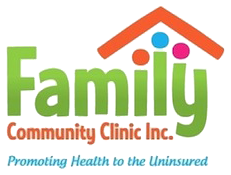 Visit the Family Community Clinics website for more information.